The Best Slow Cooker Beef Stroganoff, we’ve ever made! Plus, you can cook it in your Instant Pot or Multi-Cooker. There are certain dishes that set a benchmark for comfort. In my mind, beef stroganoff is at the top of the list. It’s not the most glamorous of meals. Yet the perfect blend of succulent slow cooked beef, earthy mushrooms, pasta, sour cream, and boozy essence make it a show-stopper on any cold night! Today’s recipe, The Best Slow Cooker Beef Stroganoff, is my second stroganoff recipe here on A Spicy Perspective. The first Beef Stroganoff I post years ago, is a quickie-version, made with grilled steak and a relatively fast pan sauce. It’s a fantastic mid-week meal you can make in a hurry… Or when you want to dress-up your stroganoff with New York Strips or Ribeye! 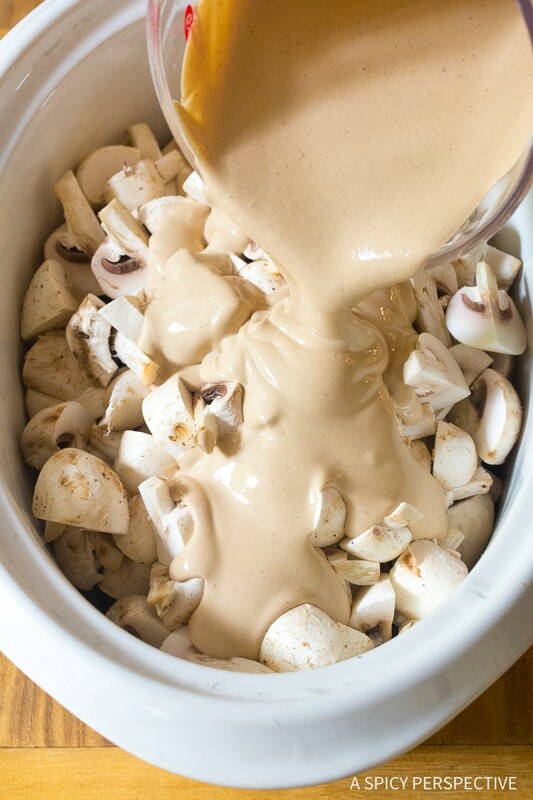 However, The Best Slow Cooker Beef Stroganoff Recipe, is our most beloved mouthwatering crock pot version that you can set-and-forget. Then come home later to a house that smells like pure heaven! When slow cooking stroganoff, it’s important to use a cut of beef that stays moist and succulent over time. Here I used thin strips of chuck roast. You can also cut the beef into bite-size chunks if you prefer. The marbled fat in the chuck roast gently breaks down over time, keeping the beef tender. Short ribs are also a good choice, but a bit more expensive. Another key element in making The Best Slow Cooker Beef Stroganoff Recipe, is to sauté the onions and brown the beef first, before adding it to the slow cooker. This sweetens the flavor of the onions and improves their overall texture. It also seals in the juices of the beef. Don’t skip this step! 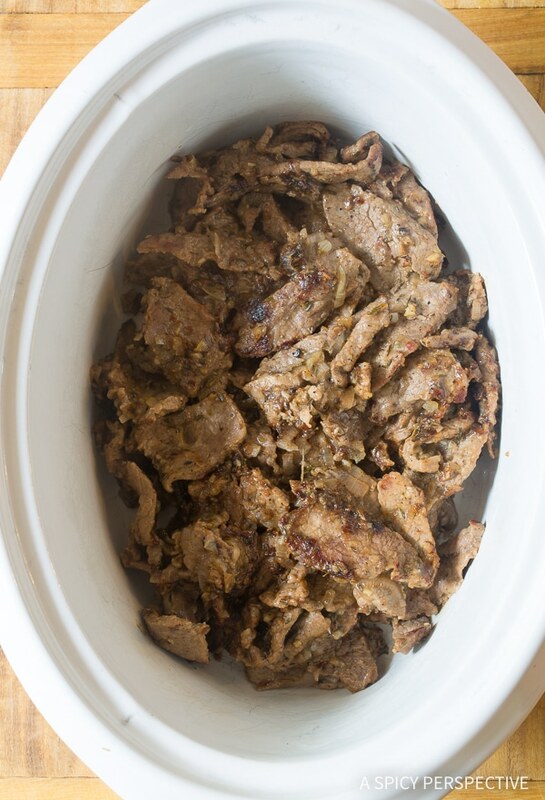 If you happen to have a large Instant Pot or Multi-Cooker, you can sauté the onions and beef right in the crock, then turn in down to “slow cook” without dirtying a skillet. Two more highly important ingredients for creating the perfect beef stroganoff are liquor and beef base. 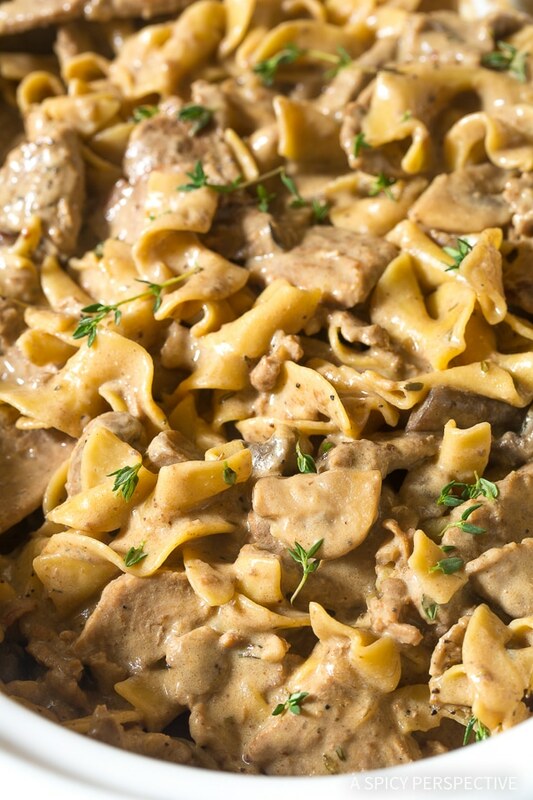 I like to use Cognac in stroganoff, because it leaves a gentle lingering slightly-sweet boozy essence. If you love robust flavors you can add as much as a cup of Cognac to the recipe. However, if you’re palette is a bit on the delicate side, use a little less. You can also use brandy or whiskey if you prefer. Do not skip the booze! It’s an important component, and the flavor cannot be replaced. The alcohol does cook out over time, so don’t be afraid of serving this to your whole family. 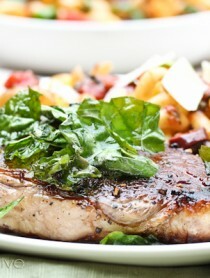 Beef base is essentially concentrated beef stock, and provides a deep rich beefy flavor. 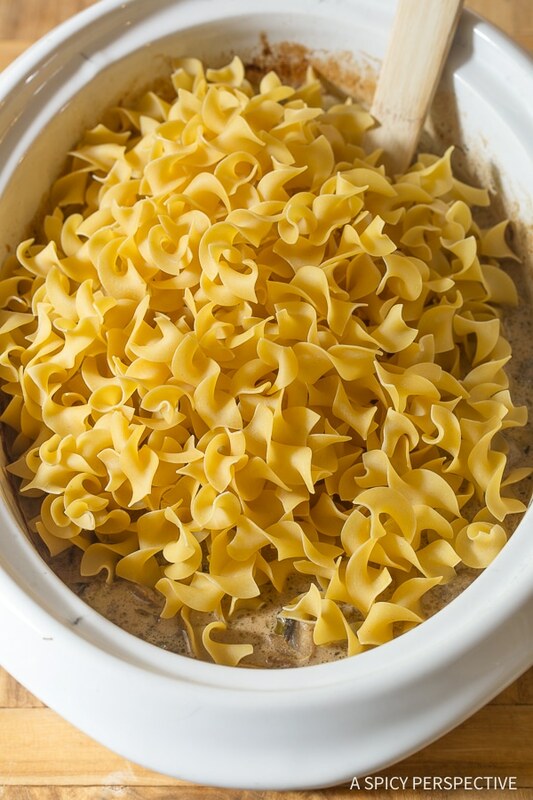 When making The Best Slow Cooker Beef Stroganoff, the crock pot lid holds in all the moisture, so regular beef stock would not be able to cook down, and concentrate over time. Using beef base (or beef concentrate) with water, creates an intensified punchy beef quality that truly elevates the sauce. If you buy the right ingredients, and sauté your onions and beef before slow cooking, you too, will experience The Best Slow Cooker Beef Stroganoff you’ve ever made! 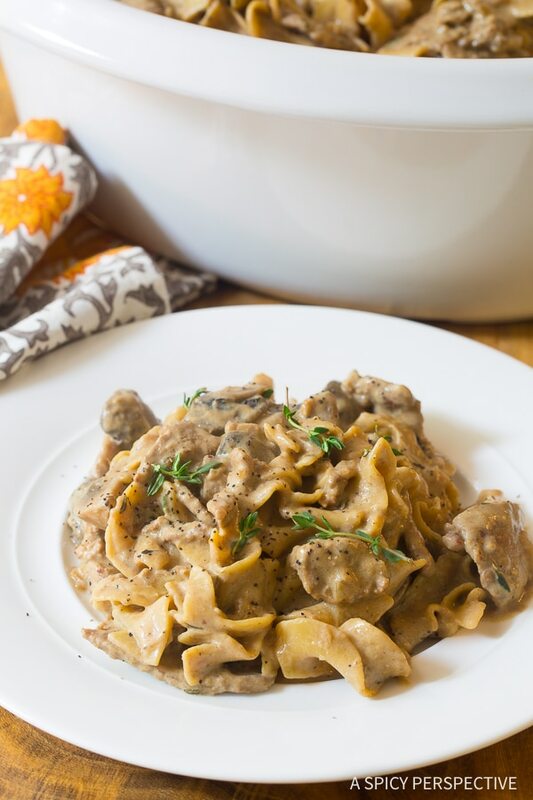 The Best Slow Cooker Beef Stroganoff Recipe - Easy Crock Pot Beef Stroganoff you can make in your Instant Pot or Multi-Cooker. Bold flavor, silky texture! Set a large 6 quart slow cooker to low heat. Cut the beef roast into small bite-size chunks, or cut against the grain into thin strips. Place the butter in a large skillet and set on the stovetop over medium heat. Once melted, add the onions and garlic. Sauté for 2-3 minutes, then add the beef pieces. Brown the beef on all sides, about 5 minutes. Then sprinkle the flour over the beef and stir to coat. Cook another 3 minutes. Pour the mixture in the bottom of the slow cooker. *If using an Instant Pot or Multi-Cooker, do this in the crock on the Sauté setting, then lower the heat to Slow Cook. Add the chopped mushrooms to the crock. In a bowl, whisk the sour cream, cognac, beef base, Dijon mustard, and thyme together. 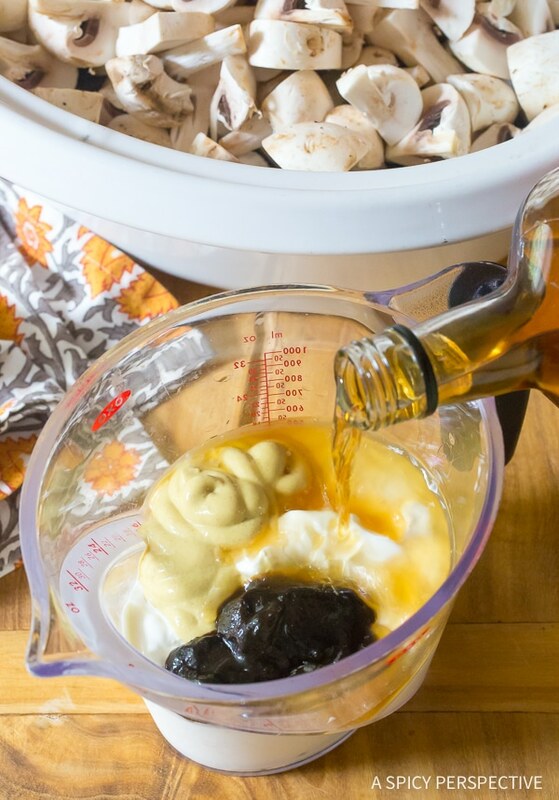 Pour the mixture over the mushrooms, then add in 3 cups water. *If using less than 1 cup cognac, add extra water to equal 1 cup. Cover the crock and slow cook for 5-6 hours on high, or 7-9 hours on low, until the beef is fork tender. Stir in the egg noodles. Cover again and slow cook another 20-30 minutes, until the pasta is cooked to al dente. Taste, then salt and pepper as needed. 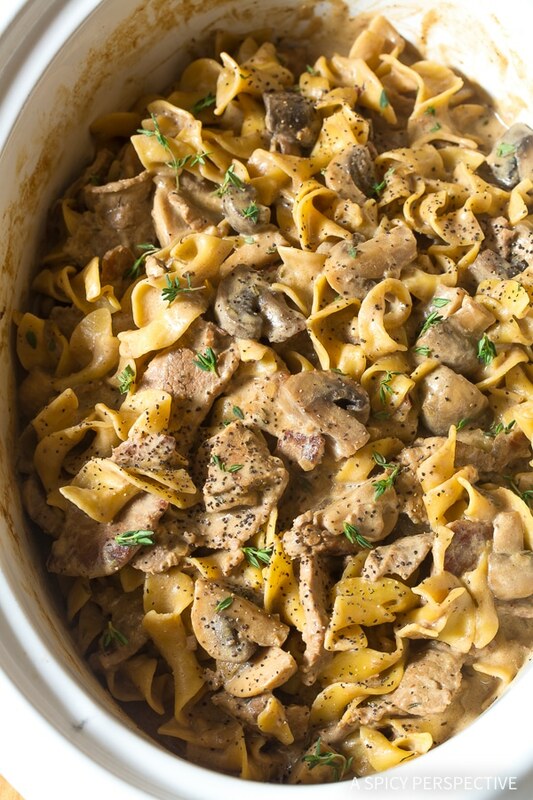 If you like stroganoff with a strong boozy essence, use 1 cup cognac. If not, go with 1/2 cup cognac + 1/2 cup water. 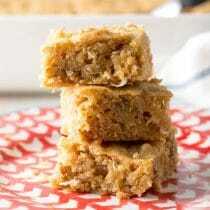 I have made this twice and it has been a huge hit both times. 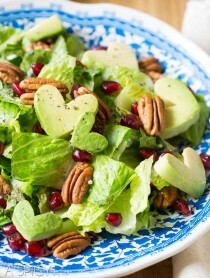 It’s a family favourite now and will be made for years to come! I used Brandy instead of Cognac. Hi, I was wondering if the setting should be high or low when cooking it for 5-6 hours in a crock pot. The 5-6 hour time frame is for high heat. Happy Cooking! 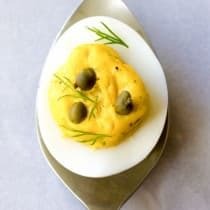 What is happening in this recipe? Things are browned and added twice. An editing error? I’m not sure what happened here… We are in the middle of a recipe format change, site wide, but I haven’t seen that glitch yet. All fixed!! 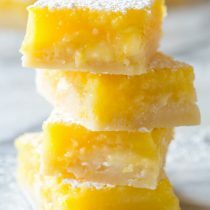 This is an incredibly good recipe. It was an instant hit with all at the dinner. That is a really tricky question because the liquor is a significant attribute to the flavor of stroganoff. It just won’t taste right without it. 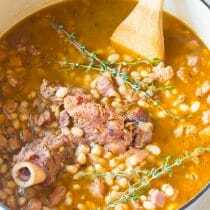 You could add equal parts beef broth and omit it entirely, or use beef broth and a little boozy extract, like brandy or whiskey extract. 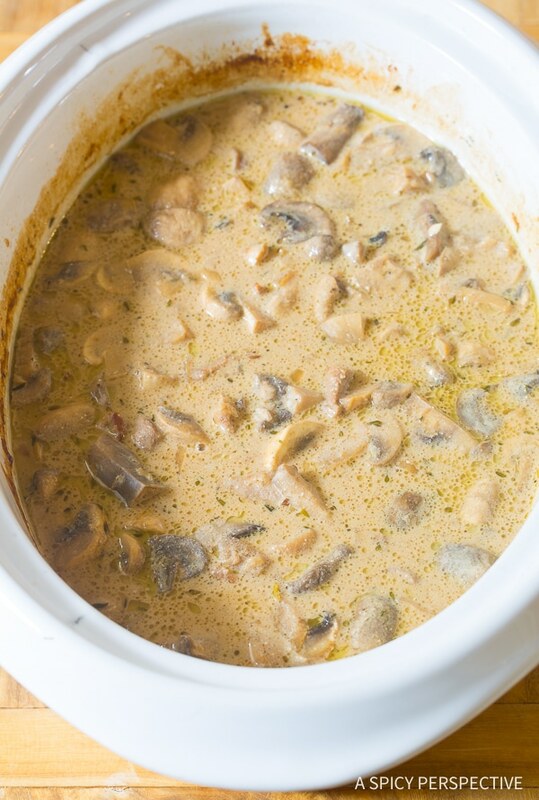 Made it this past weekend – the best stroganoff I have ever made! I used the cognac – yum. I followed your directions for slicing the beef – I think that’s the key to the results. Thank you. I learned a lot on this one. 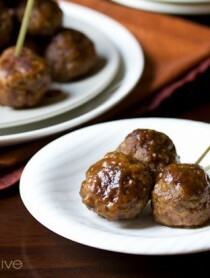 It’s a great recipe to add to the crock pot repertoire. Can you substitute Brandy for the Cognac?